For those of you have, or have tried to put on some quality mass, you know how hard it can be. With the advent of so many products on the market promising massive gains in such little time, it can be hard to decipher what’s real from what isn’t. If you go to your local fitness store at a local mall, I bet you can find over 30 different products all promising the same thing. The problem is we don’t know what’s safe and what isn’t safe. The other problem is that we don’t know if it’s going to work or not. So you may take something that is potentially very harmful for you that doesn’t work. Most of us don’t have a few hundred dollars to throw around and see if a product works or not, so many people are going back to the roots, herbal roots that is! Today I will be speaking about 3 herbs that can help you get some of that added mass you’ve been looking to put on. 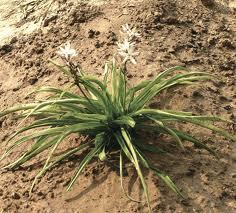 This herb is also known by the name chlorophytum borivilianum and it’s native to India. Safed Musli is well known for it’s aphrodisiac benefits. Recent studies have found that Safed Musli contains many steroidal glycosides, such as 8-hexadecenoic acid, palmitic acid, 3-heptadecanone, methyl pentadecanoate and stearic acid. This makes this natural booster a must have for bodybuilders and weightlifters alike. It’s not only helps with that, but it also many other benefits. Another benefit that athletes and bodybuilders alike can benefit from are helping to reduce inflammation and its ability too help boost immunity. It also can help to give the body testosterone boosting like effects, as well as improve overall strength and help fight fatigue. This makes Safed Musli an excellent addition to your supplement list. Other ailments Safe Musli has been known for helping are conditions such as: Arthritis, Diabetes, High blood pressure, and Cholesterol. There are a ton of claims for and against this herb in the muscle world. 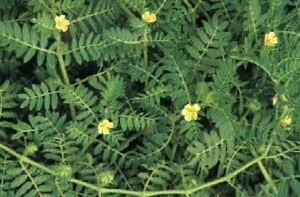 Many say this herb can boost testosterone levels and increase libido. Others say its a big waste of your time and money. Both sides claim to have evidence that it either it does or doesn’t work. 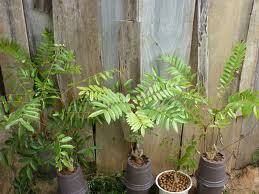 But many who have supplemented with it have said that it was a success. Some say they increased size and strength in shorter amount of time. Many say their libido increased after a short time of usage with it. I have been currently using it for about a month and a half and have seen an increase in size and strength. I will continue too use it for another few weeks then get off of it too see if I notice a difference. Other then that this may be a supplement where you need to try it out for yourself, if you do after reading this, please let us know how it worked for you. Tongkat Ali is a popular aphrodisiac that is native to Malaysia. This herb has become popular within the bodybuilding community for its awesome testosterone building benefits. It also helps to increase and maintain strength levels. Meaning longer and more effective workouts. Some have reported an increase in overall energy and a decrease in fatigue. Although there has not been enough studies to back these claims, many still have reported too have had positive results while supplementing with Tongkat Ali. All jokes aside, before you start putting all of your faith into an herb or over the counter supplement, you have to come to realization. The herbs are not going to do ALL the work for you; you must put in the work for them to work. If you're looking for some super human type gains that you will achieve in a month or two, stop reading right here and go somewhere else. They help to excel you off plateaus, increase extra size a bit quicker and more effectively. Don’t take a supplement simply because you heard someone took it and gained 10 pounds in mass in a weeks time. If they do take a supplement that gives them those kinds of gains, then obviously it’s not good for them, and it will eventually catch up to them. So be smart and be safe, take time too do you own research on various supplements that may intrigue you. Also be sure to test things out, don’t try them and throw them away after a few days.